This issue featured the first appearances of two characters that today are integral with the Marvel Cinematic Universe! The main bad guy behind it all Thanos first appears here as well as the hero who is now a member of the Guardians Of The Galaxy, Drax The Destroyer. 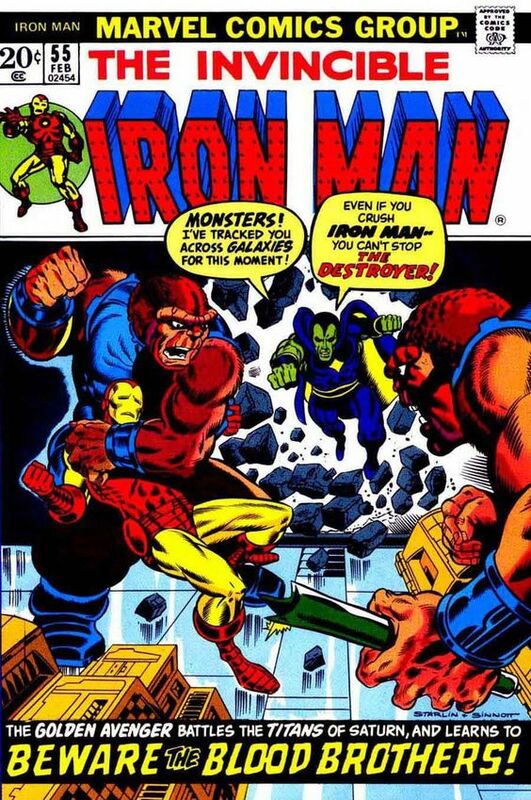 Both are slightly different than the versions that are known today but when the people of Titan need help Iron Man and Drax work together to stop the plot of Thanos and his minions! Two of the toughest members of the Marvel Universe first appeared right here!